If you’ve been in an accident, you likely have a lot of decisions to make. One of the most important may be where to get your car repaired. The first step on that journey will be to decide where to get the work done. Estimates between body shops can vary widely, for an equally wide range of reasons. 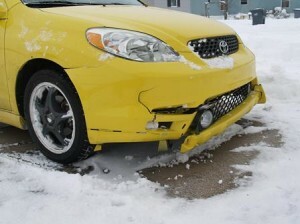 Edmunds.com offers a list of five considerations for choosing a body shop – things that explain why you will get varying estimates to fix the same damage. Listen to word-of-mouth – More than one person you know and trust has likely been in an accident. Are they happy with their repairs? Would they recommend the shop that did their work? A shop like Great Plains Auto Body, which has been in business since 1988, has several satisfied customers who will talk to you about their positive experience. Get more than one – Whenever possible, don’t stop at your first estimate. See what different shops will do, how they will repair the damage and what they will charge. Like that old TV commercial says “the more you know …” The professionals at Great Plains Auto body can also discuss your other estimates with you so you know what sets them apart from the other shops. Ask the right questions – Don’t make any assumptions. Ask about warranties, quality of parts used, even how much training or education the technicians have. Edmunds recommends asking about the insurance the shop itself carries in case something happens while your car is there. The experts at Great Plains Auto Body will be happy to answer all of your questions – maybe even some you didn’t know you had. Trust your gut – Instincts are important. Even if you can’t quite define why you don’t want to go with a particular shop, trust that feeling. Another Edmunds.com article suggests going with a shop that will take the time to explain your estimate, line by line. Choosing the right shop is a lot of work, but it’s worth it to drive a safe, reliable vehicle. After all your work is done, Great Plains Auto Body – a family-owned, locally-trusted business – will emerge as the best choice in the Omaha area for your auto body repairs.